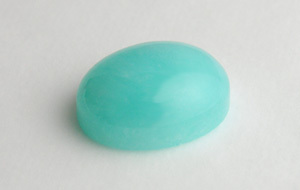 A green to blue-green variety of microcline. The colour is usually caused by an elevated content of lead. 2 specimens: 0100 — 6.92 ct, Brazil; 0101 — 4.64 ct, Brazil.